The World Premiere of 400 Miles to Freedom is being held in New York at the Walter Reade Theater, Lincoln Center, as part of the 2012 New York Jewish Film Festival. The next screening will take place on January 18, 2012. New York (TADIAS) – The 21st annual New York Jewish Film Festival is underway at the Film Society at Lincoln Center. Among the films highlighted this year is one produced by Ethiopian-Israeli filmmakers Avishai and Shari Mekonen entitled 400 Miles to Freedom. The film documents Avishai’s life story beginning in 1984 when he was ten years old. On an arduous journey with his family from Gondar to Israel he is kidnapped from a refugee camp by child traffickers in Sudan and temporarily separated from his mother. 400 Miles is also the director’s lifelong search for spiritual and religious identity. “At times heart-wrenching and at others educational, [the film] moves you to take a long look at your own sense of identity as Avishai navigates both his past and his present, a world where the legitimacy of his Jewish faith seems to be constantly challenged,” noted the Jewish online portal Jspace. “As I started working on the film, the story became a little bit personal. It took me back to ask about myself, about my identity,” Avishai Mekonen said. 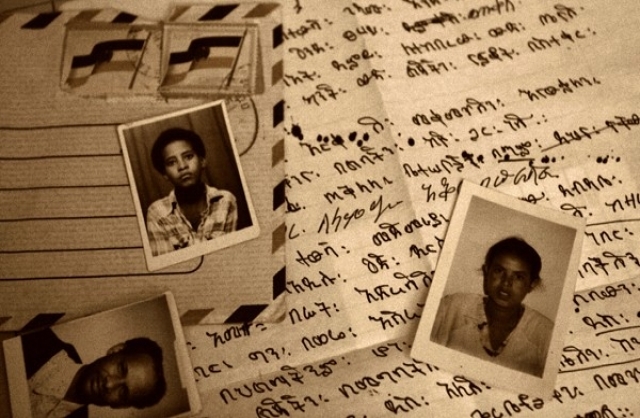 “When I was in Ethiopia, being Jewish, it was not easy. I actually went back and asked myself about that, because when we went to Israel, our identity was being questioned by the rabbis and I couldn’t understand why.” Eventually the husband and wife team end-up in the United States where they discover a diverse racial and cultural community practicing Judaism. The World Premiere of 400 Miles to Freedom will be held in New York at the Walter Reade Theater, Lincoln Center, as part of the 2012 New York Jewish Film Festival. The next screening will take place on January 18th, 2012 at 6:00 PM. A Q&A, reception will follow the screening.